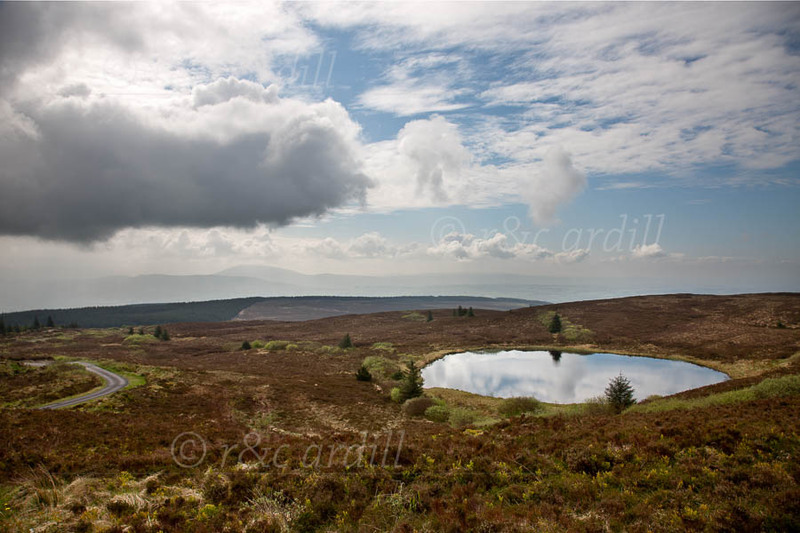 Photo of: West of Ireland: Tipperary: Tountinna Mountain. A view from the top of Tountinna mountain beside Lough Derg. Tountinna is a derivation of the Gaelic Tul Toinne which means 'hillock of the wave'. The wave in question was the biblical flood, which, according to Lebor Gabala Erenn (which means 'The Book of the Taking of Ireland'), drowned most of the members of the first invasion of Ireland, led by Cesair (or Cessair, a grandaughter of Noah). Fionntan was the only member of the party who took refuge in this mountain. While the others were drowned in the deluge, he survived to tell the tale to later generations. The small lake shown in this image is believed to be a bottomless lake. In the distance are the Silvermine Mountains.